What is Avon Fire Authority? 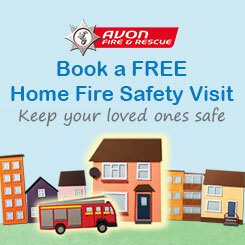 The Fire Authority was established in 1996 after Avon County Council was abolished. This had previously provided the fire and rescue service in our area. The Fire Authority is sometimes referred to as the 'Combined Fire Authority' which reflects its legal status. The Fire Authority owns the land, buildings, vehicles and equipment; and employs the staff to deliver a fire and rescue service. What do AFA Members do? Setting the council tax / budget. Determining the Fire Authority's priorities and objectives for the purposes of the Integrated Risk Management Plan (IRMP) and approving the IRMP. Approving the Statement of Assurance and Annual Governance Statement. Approving the Annual Statement of Accounts. Appointing, suspending or dismissing the Chief Fire Officer (CFO), the Deputy CFO and the Statutory Officers. Holding the CFO to account for the efficiency, effectiveness and economy of service delivery and continuous improvement in implementing the Fire Authority’s vision, mission, values, objectives, priorities, plans and strategies. Holding the Statutory Officers to account for the discharge of their statutory functions. Approving a pay policy statement. for discharge of functions by others. Approving business continuity plans to enable the Fire Authority to perform its fire and rescue functions if an emergency occurs. Approving any arrangements for the co-operation with Category 1 and 2 responders under the Civil Contingencies Act 2004. Appointing a local auditor and deciding whether to enter into a liability limitation agreement.